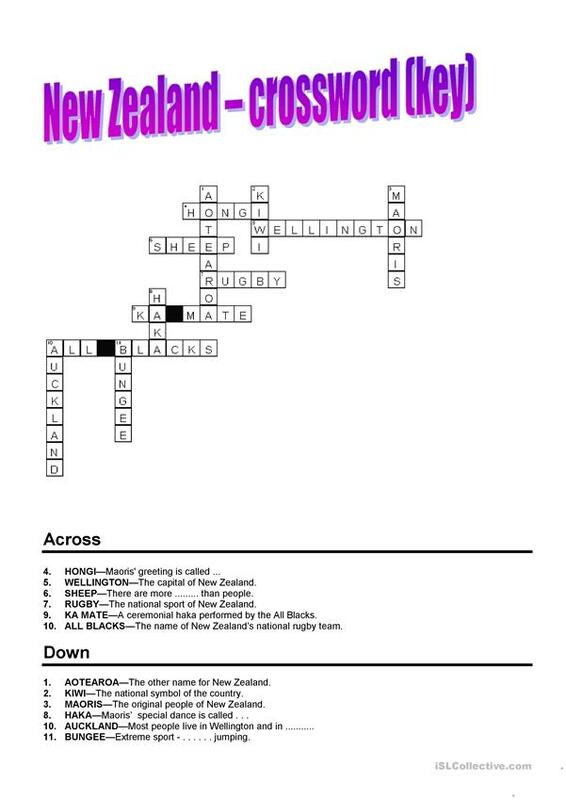 Interesting crossword about New Zealand. You can do it after reading the information about this country in my worksheet. 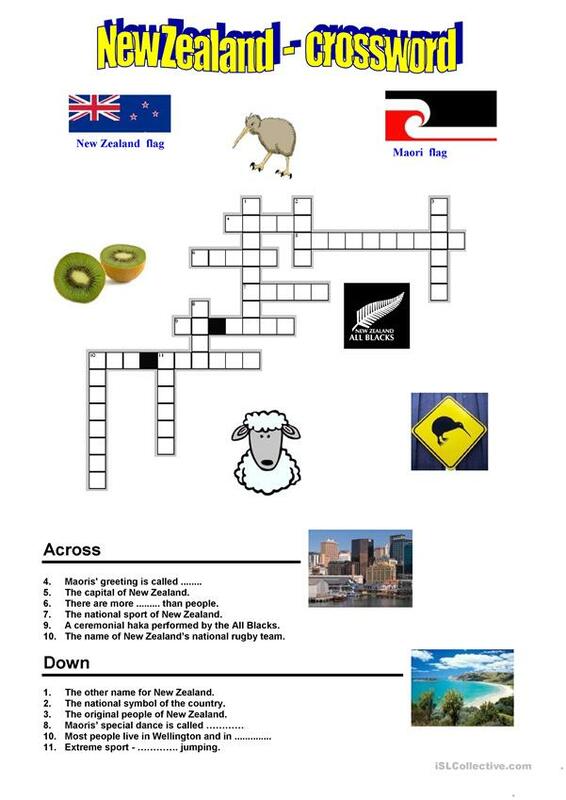 The present downloadable handout is a great resource for high school students at Pre-intermediate (A2) level. It centers around the topic and words of Countries. It includes the solutions, too.